PLEASE NOTE: LIMITED NUMBERS OF THIS SCISSOR ARE HELD IN STOCK AND ON OCCASION THEY MAY NEED TO BE SENT DIRECT FROM OUR SUPPLIER, THIS WILL TAKE 1-2 DAYS FOR DELIVERY. Kyoto scissors are incredible value for money and the Kyoto Sprint Thinning Scissor is no exception. It's forged from high carbon steel to give a lasting high quality cut and features an extra wide tail to give added support. 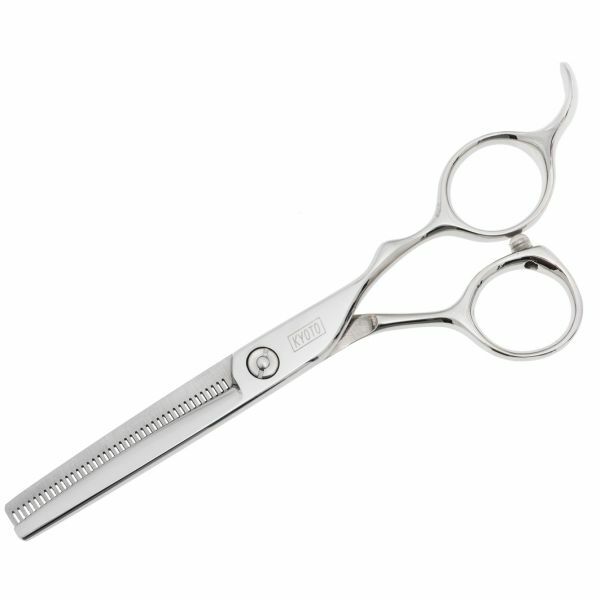 Available in 5.5 inch blade with 40 teeth the cut result shows no visible cut line removing just 15% of the hair, making it ideal for fine hair or softening heavy fringes. Available only in 5.5" with 40 teeth - 15% cut. 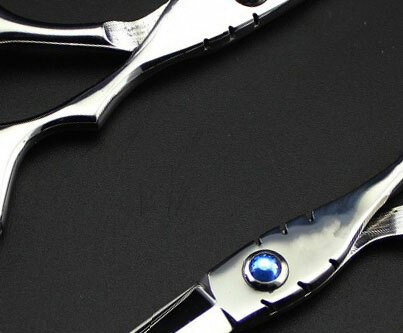 Osaka 640 Thinning Scissor 6.0"